[130 Pages Report] The global Firewall as a Service Market accounted for USD 0.46 Billion in 2016 and is expected to grow from USD 0.56 billion in 2017 to USD 1.70 Billion by 2022, at a Compound Annual Growth Rate (CAGR) of 24.9% during the forecast period. Factors such as the increasing need to fortify the enterprise network against unauthorized and unprecedented strikes, and rapid upgradation of and alteration to firewall protocols are expected to drive the growth of the FWaaS market across the globe. The base year considered for this study is 2016, and the forecast period under consideration is 2017–2022. The Firewall as a Service (FWaaS) market comprises service providers such as Barracuda Networks (US), Cato Networks (Israel), Check Point Software Technologies (Israel), Cisco Systems (US), Forcepoint (US), Fortinet (US), Juniper Networks (US), Palo Alto Networks (US), WatchGuard (US), and Zscaler (US). 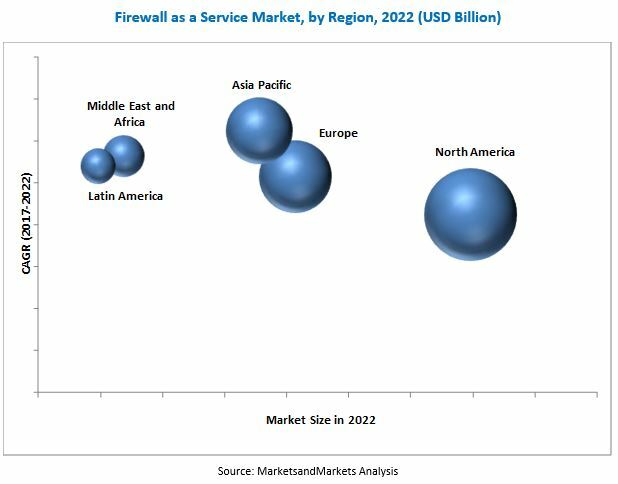 The Firewall as a Service (FWaaS) market size is expected to grow from USD 0.56 Billion in 2017 to USD 1.70 Billion by 2022, at a Compound Annual Growth Rate (CAGR) of 24.9% during the forecast period. The major drivers of this market include the increasing need to fortify the enterprise network against unauthorized and unprecedented strikes, centralized policy management and simplified installation for distributed enterprise networks, and elimination of the upfront investment cost. The (FWaaS) market report has been broadly classified on the basis of service types into traffic monitoring and control, compliance and audit management, reporting and log management, automation and orchestration, security management, managed services, professional services, and others. On the basis of service models, the market has been segmented into Infrastructure-as-a-Service (IaaS), Platform-as-a-Service (PaaS), and Software-as-a-Service (SaaS). By deployment model, the market has been segmented into public cloud, private cloud, and hybrid cloud. On the basis of verticals, the market has been segmented into Banking, Financial Services, and Insurance (BFSI), education, energy and utilities, government and public sector, healthcare and life sciences, manufacturing, retail and eCommerce, telecommunication, and IT and ITES, and others (travel and transportation, and hospitality). By region, the market has been segmented into North America, Europe, Asia Pacific (APAC), Middle East and Africa (MEA), and Latin America. The automation and orchestration service type is expected to grow at the fastest rate during the forecast period. The highest growth rate is due to the benefits offered, such as arrangement and synchronization of automated tasks, and management of interconnections and exchanges among cloud-based and on-premises business units. Furthermore, this service ensures internal and external compliance requirements are fulfilled. The public cloud deployment model is estimated to hold the largest market share in 2017 and is expected to grow at a significant rate during the forecast period. The main reason for the high adoption of public cloud is its ease of access and faster deployment. The public cloud deployment model offers various benefits, such as scalability, reliability, flexibility, and remote location access, to enterprises. APAC is expected to witness the highest CAGR during the forecast period. The increased Information and Communications Technology (ICT) spending in government infrastructure and FWaaS initiatives, and the need to prevent unauthorized access to networks are some of the factors that have contributed to the growth of the Firewall as a Service (FWaaS) market in the APAC region. The need to adhere to different regulatory compliances and lack of technical expertise among the enterprise staff some of the major restraints and challenges in the market. Some of the key vendors in the Firewall as a Service Market are Barracuda Networks (US), Cato Networks (Israel), Check Point Software Technologies (Israel), Cisco Systems (US), Forcepoint (US), Fortinet (US), Juniper Networks (US), Palo Alto Networks (US), WatchGuard (US), and Zscaler (US). 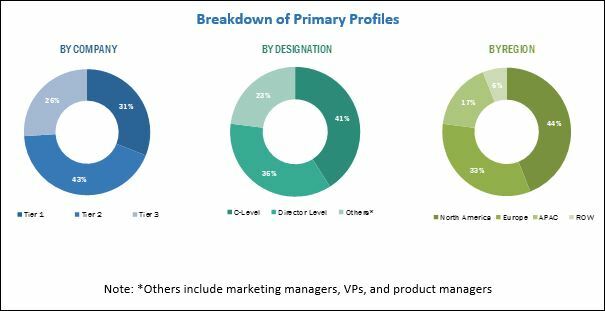 These players have adopted various strategies, such as new product launches, acquisitions, and partnerships to cater to enterprises in the FWaaS market. *Details on Business Overview, Services Offered, Recent Developments, MnM View Might Not Be Captured in Case of Unlisted Companies.